Forecast is calling for a 100% chance of rain on Saturday, and it doesn’t look like it is going to change. Can’t fly in the rain, so the officers are scrubbing the launch. A go/no go decision will be made Thursday – Please monitor this web site or the club Facebook page for launch status. 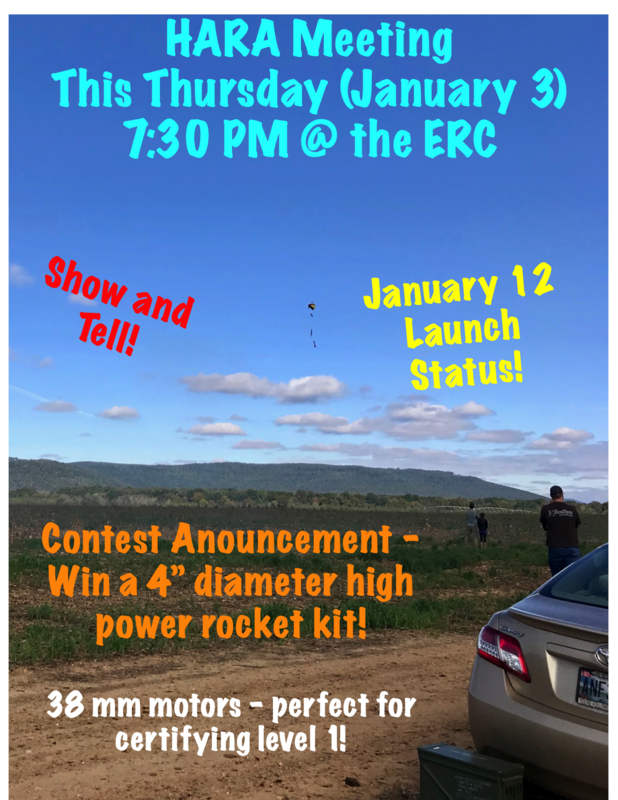 HARA Design of the Month Contest – Win an Apogee 4″ HPR Zephyr rocket! 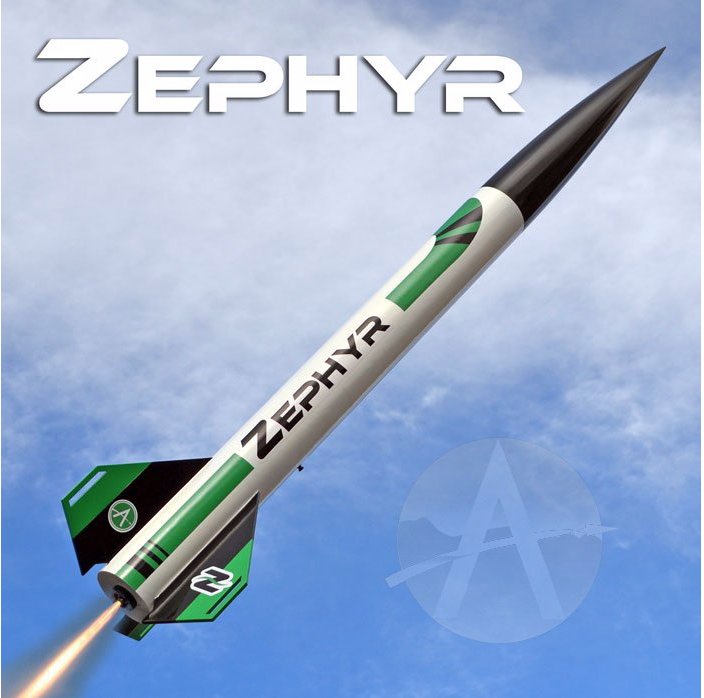 The Apogee Zephyr is an easy-to-construct 4″ diameter rocket flying on 38mm motors. It’s perfect for certifying L1, or for fun flying! 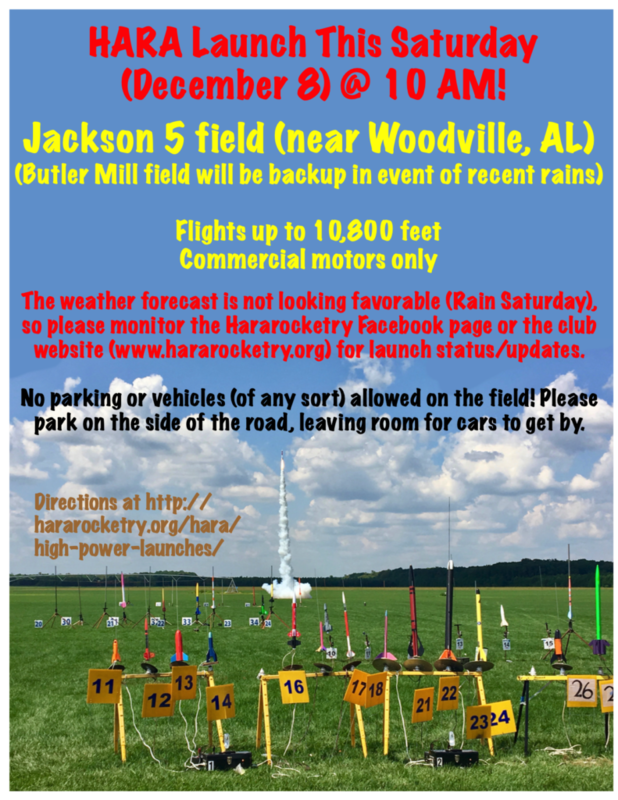 It’s the prize for winning HARA’s contest in which you construct a model rocket from an old Estes or Centuri rocket plan – description and rules are here. Launch update – Wednesday @ 6 PM. 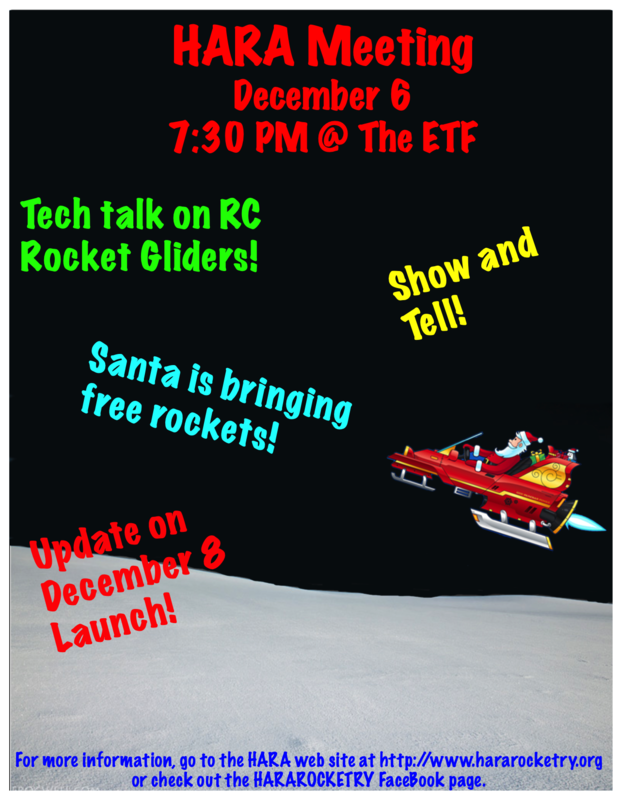 December 8 launch is cancelled! Saturday’s launch is cancelled due to weather – forecast has a 100% chance of rain. Long term forecast also shows wet weather on the 14th. Things have been unusually wet of late – hoping for a change! 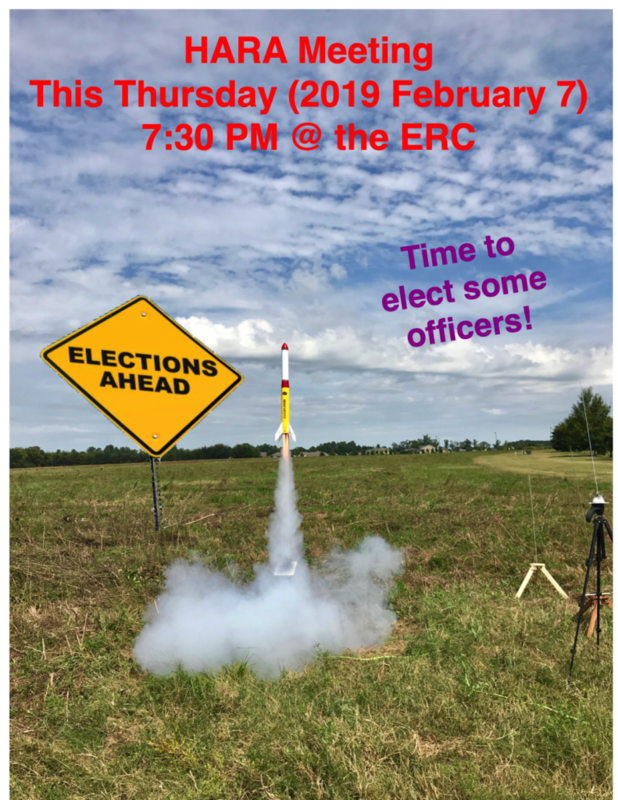 Given the amount of rain projected to fall over the next 2 days (which is more than last week), the officers have decided that there is no point in preparing for a launch this Saturday – the fields will simply be too muddy. We are therefore cancelling November’s launch and are hopeful that the weather gods will be kinder to us at the December 8 launch.